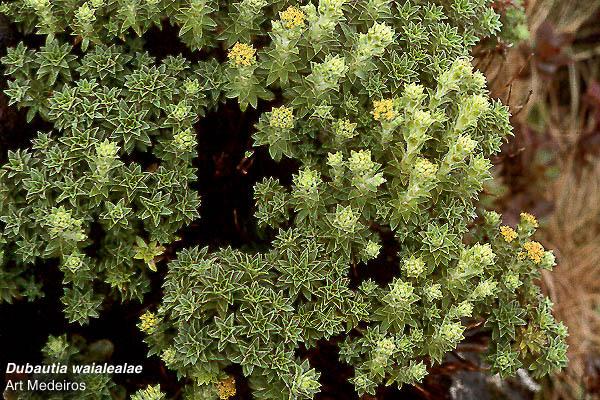 Low, compact, rounded cushionlike shrub 1-5 dm tall, leaves in whorls of three or four (or more?). 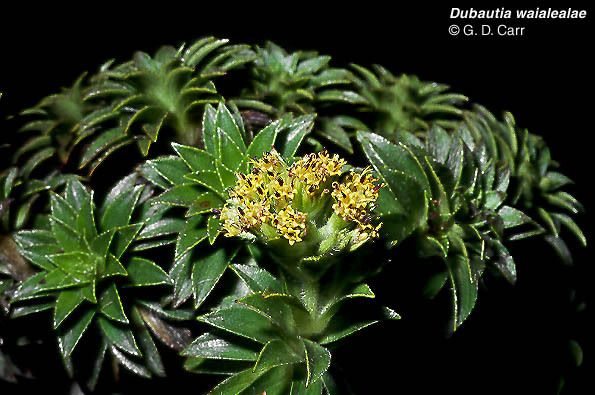 Diagnostic features of the species include the cushion-like growth form and whorled, elliptic-oblanceolate leaves 1-3 cm long. 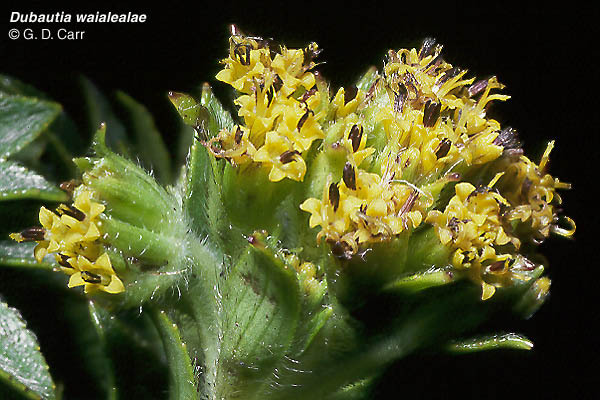 Flowering occurs from August to November. 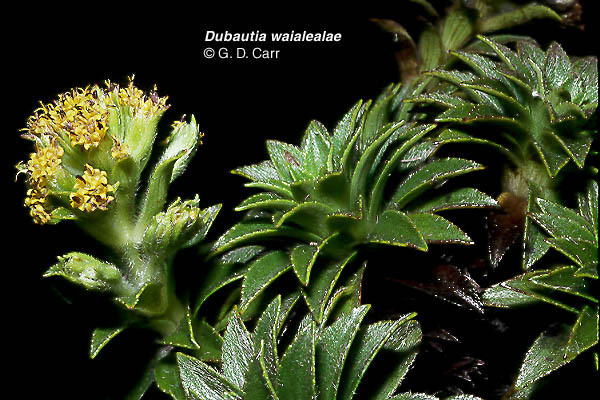 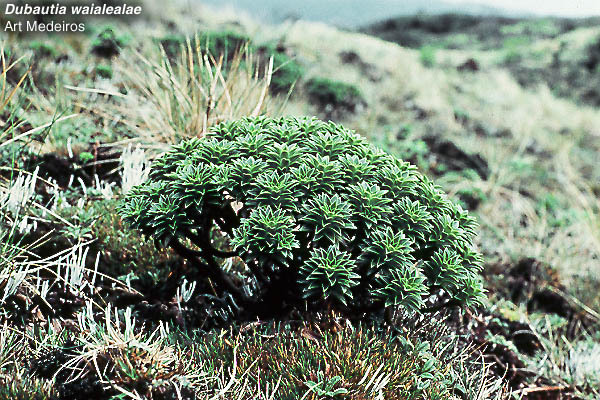 This species is found only on Kaua'i, in the open summit bog of Wai'ale'ale, ranging in elevation from about 1,450 to 1,600 m. It occurs in sites receiving about 960->1,000 cm of annual precipitation. 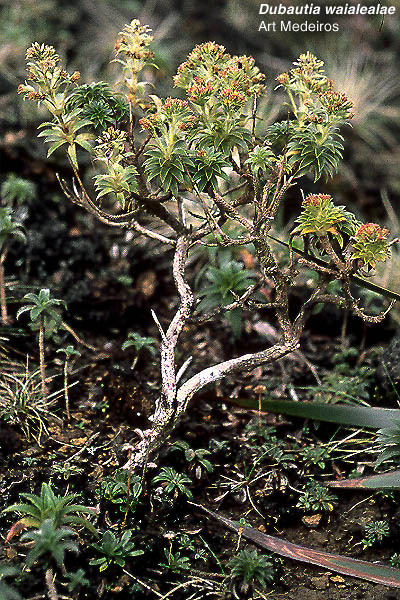 This individual has a more open growth form, note many seedlings. 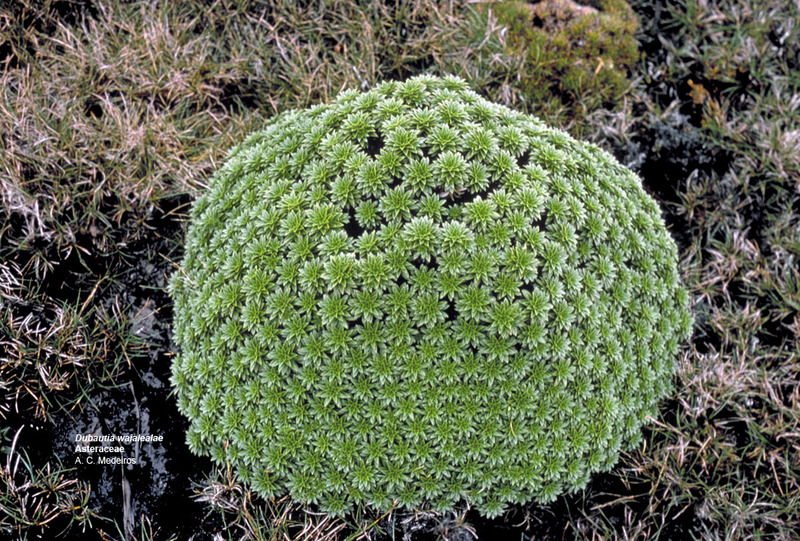 Top view of spreading plant. 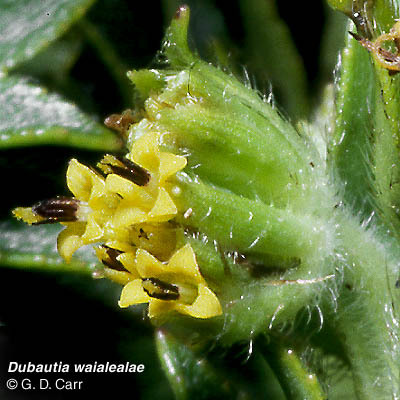 Close view of portion of capitulescence.